IGIMS was established on 19th November 1983, as an autonomous organisation on the pattern of All India Institute of Medical Sciences, New Delhi. The objective was to provide super specialty medical facilities in Bihar. On 27th January 1983 Cabinet approved the completion of this massive project in 4 phases within a span of six (6) years. According to the decision of State Government, 130.20 Acres of land was transferred to IGIMS. Hospital wastes have always been considered as potentially hazardous in view of the inherent potential for dissemination of infection. The major identified hazard was that of infection, because over millennia communicable diseases had been the most common cause of morbidity and mortality in the community and majority of persons receiving treatment in the hospitals were suffering from communicable diseases. Precautionary Notice: After Sales / Services of Bio-Medical Equipments. Adv. No. 02/Sr. Resident-(Adhoc)/IGIMS/Estt./2019: WALK-IN-INTERVIEW FOR ADHOC APPOINTMENT ON LEAVE VACANCY POST OF SR. RESIDENT “OBS. & GYNAECOLOGY”. 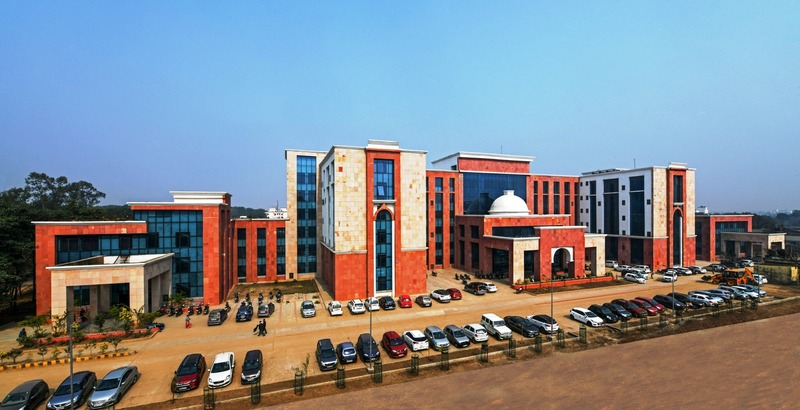 Indira Gandhi Institute of Medical Sciences, Sheikhpura, Patna was setup with anobjective to provide the best medicare facilities to the peoples in and around Bihar.The hospital aims to be the AIIMS of this region.So far, it has been successful in achieving part of its goal and IGIMS is acting hard to achieve its goals for the broader interest of masses.